Will you help fund us so we can deliver cartons of library books to remote schools in our project site schools in Madang? Email me on: magun.wences@gmail.com and make a small donation that could put a smile on a child's face and build his/her knowledge capacity. 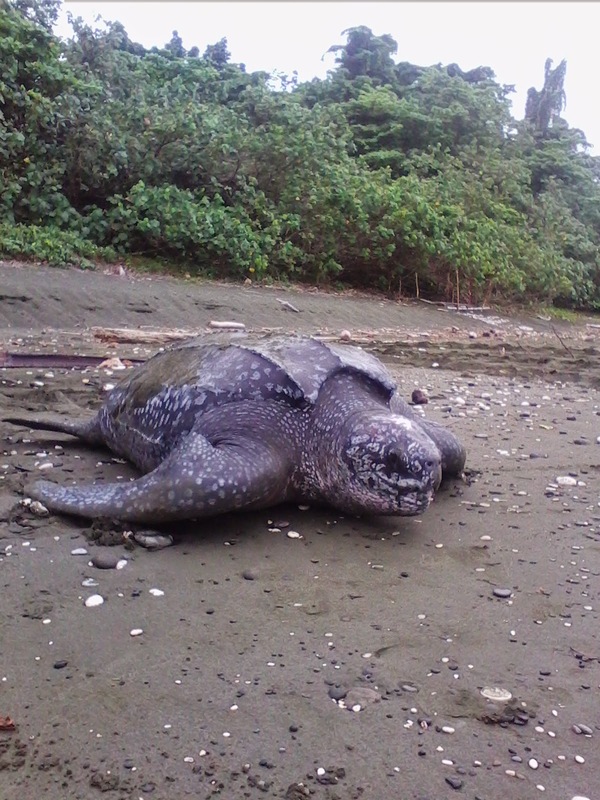 The campaign to save critically endangered leatherback turtles in Madang, PNG, has so far seen some positive outcomes. Karkum, Yamai, and Mur villagers have taken small steps to save, restore, and protect these gentle giants that come to share their beaches. For Karkum and Mur, this shift of mindset and attitude from habitual killing and eating leatherback turtle to saving them, is in itself the best positive outcome we have achieved so far. Our attempt to create more "Other Effective Area-based Conservation Measures" as expected by the Convention on Biological Diversity (CBD) and also to meet IUCN's protected area goals will continue with the indigenous and local community resource owners using their land tenure customary traditional management systems as well as adapting new Resource Management Plans. We have also adapted and trialed the Conservation Deed approach in Karkum. MAKATA will continue to trial and test new conservation tools to ensure that we accomplish the communities goals and vision whilst fulfilling our vision and mission. In this journey we admit we have made mistakes and have learnt so much from our mistakes and continue to find ways to improve. As we come to the end of 2014, we wish to thank all our donors, the communities we work with, our volunteers, NGOs, CBOs, DEC staff, international partners and all our friends and benefactors including our facebook friends. Your valued support, advise, guidance and help has and will not go unnoticed and acknowledged. The best we can do for you is to thank you for helping us finding a meaningful and positive way to help save planet earth through saving key species and finding lasting solutions to manage our resources sustainably at our local communities in ways that also contribute meaningfully to meet the economic, social, and infrastructure needs and well-being of the communities we work with. May God almighty grant and bless you all with a very safe and blessed Christmas. Please go to our facebook page: Save PNG's Endangered Turtles to see the photos or stroll down and read more stories.